If you are looking for a picturesque drive this winter, Town & Country, a suburb of St. Louis, should be at the top of your list. 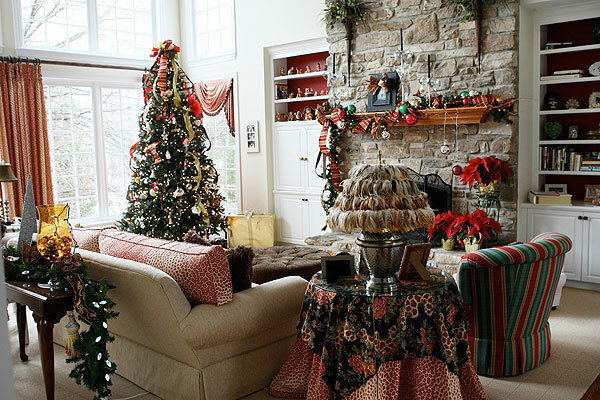 The beauty of the homes and their holiday decorations will easily put you in the Christmas spirit. Tom and Pam’s house is one of those homes. 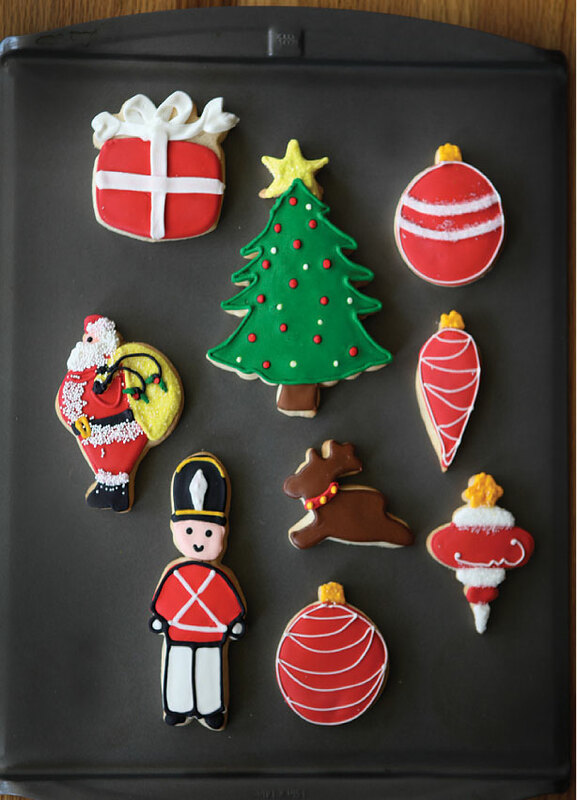 From the warm welcome of the wreaths hung on the entry doors to the shimmering twinkles of garland and Christmas tree lights inside, the festive decorations make it hard to leave. Pam’s design secret? Generous but uncluttered, encouraging guests to appreciate every room and item to the fullest. 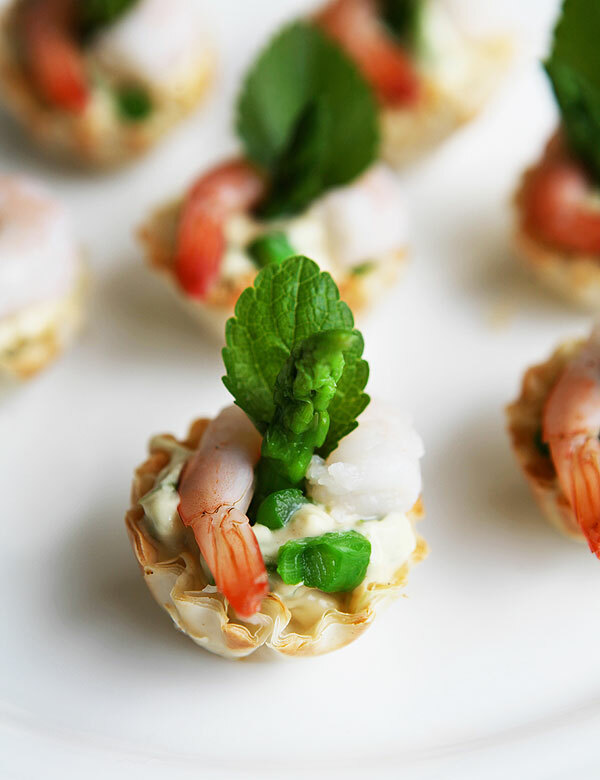 This same philosophy carries over to her tablescapes and indeed her very approach to entertaining. Pieces that were collected over the years find themselves assembled beautifully throughout the house. Pam’s two children love the house during the holidays, not only for the decorations but even more because they know that the house will soon be filled with family, friends, and tremendous cheer! (Above) The entryway to the family room. 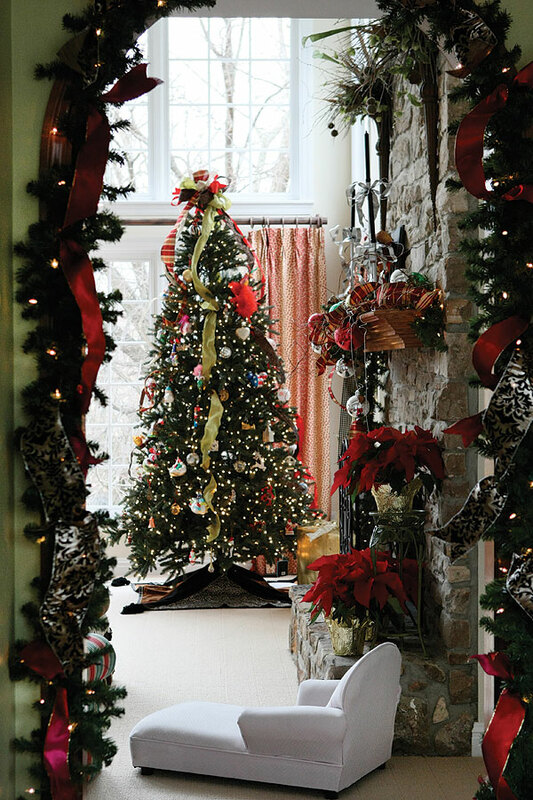 Christmas tree and garland adorned with coordinating ribbons, lights, and ornaments. 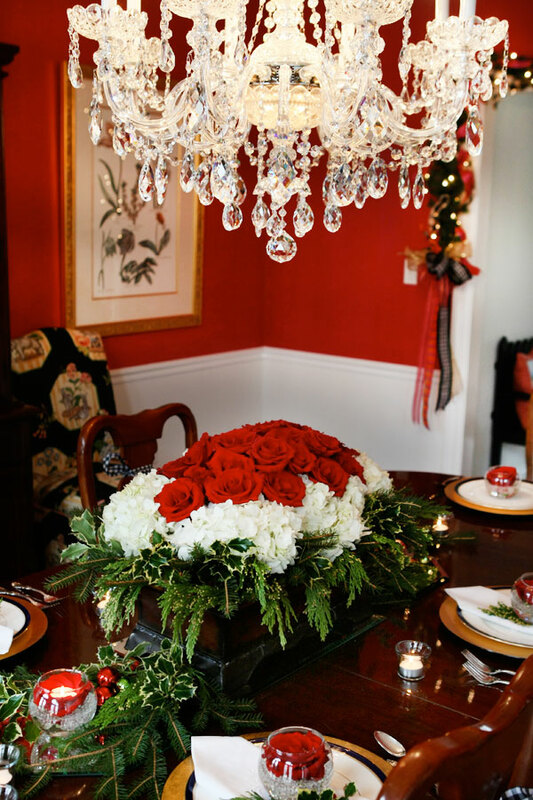 Dining room table with hydrangea, rose, and evergreen centerpiece. 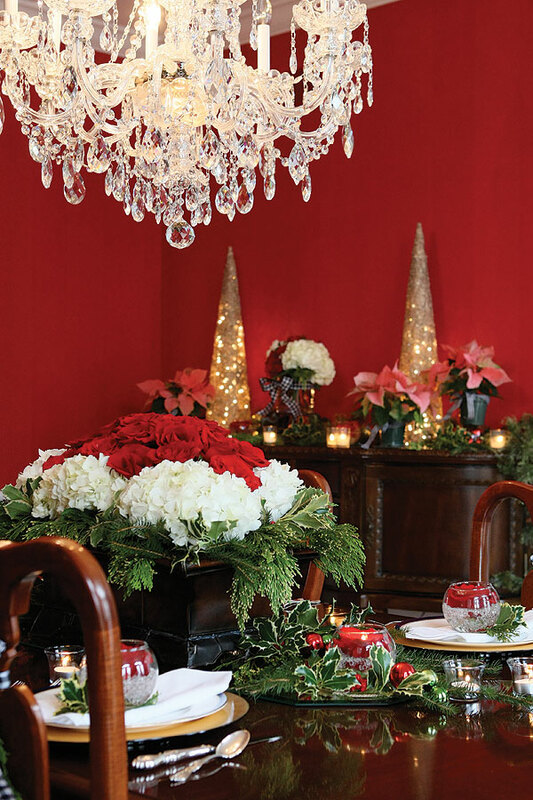 Evergreens are beautifully arranged in the center of the table with tea lights and red Christmas ornaments to reflect the red walls of the dining room. 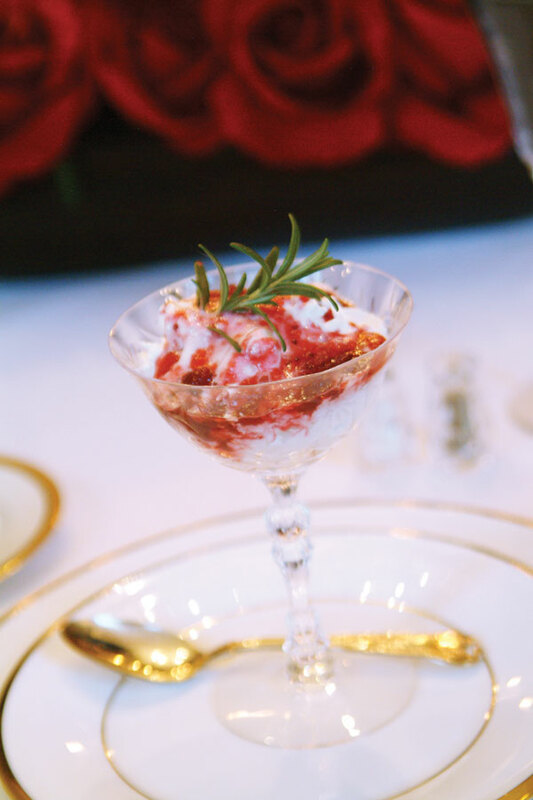 (Below) Holiday entertaining is awash in tradition and guests, and Pam’s fine china gets little rest because of the numerous gatherings. 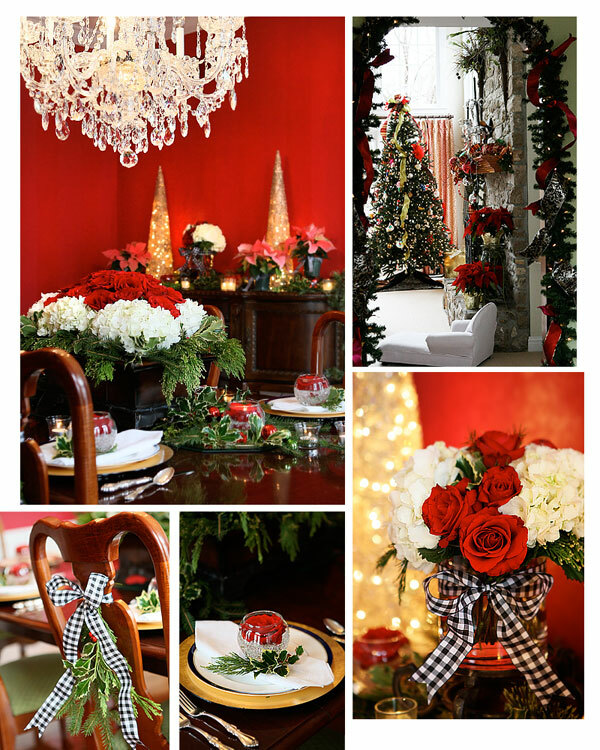 This year, a traditional red and green color palette is used in the tablescape design. 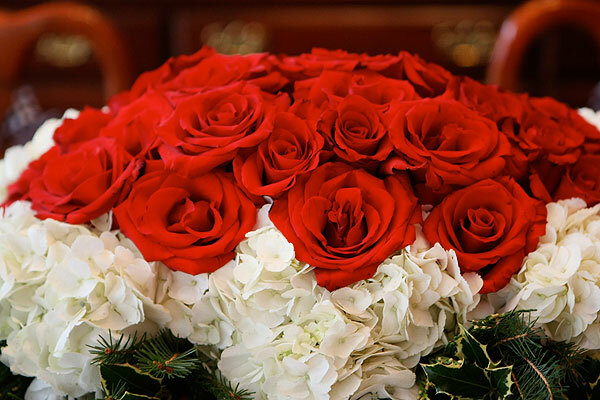 Fresh flowers which are simple to find and assemble, such as red roses and white hydrangeas, are used in the centerpiece. For an elegant touch, a collar of cascading evergreens surrounds the flowers. 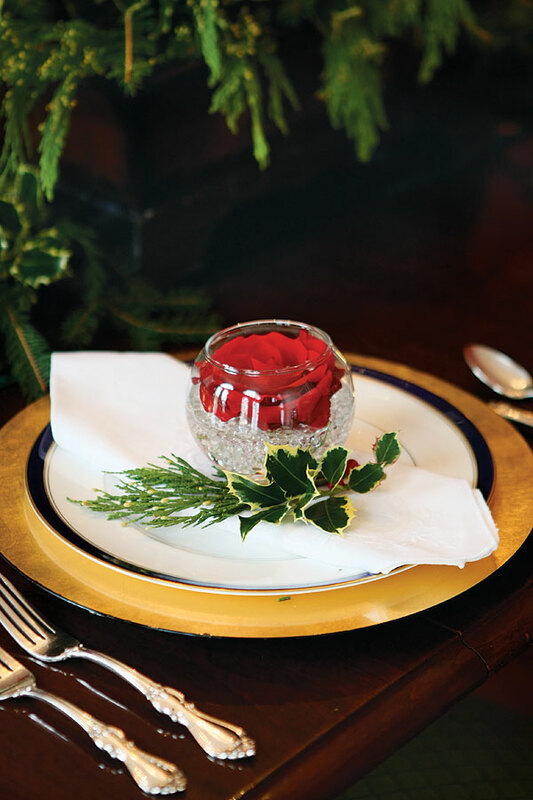 Additional evergreens, all of which can be harvested from the backyard, are creatively scattered on the table and adorned with berries, Christmas ornaments, and votives. 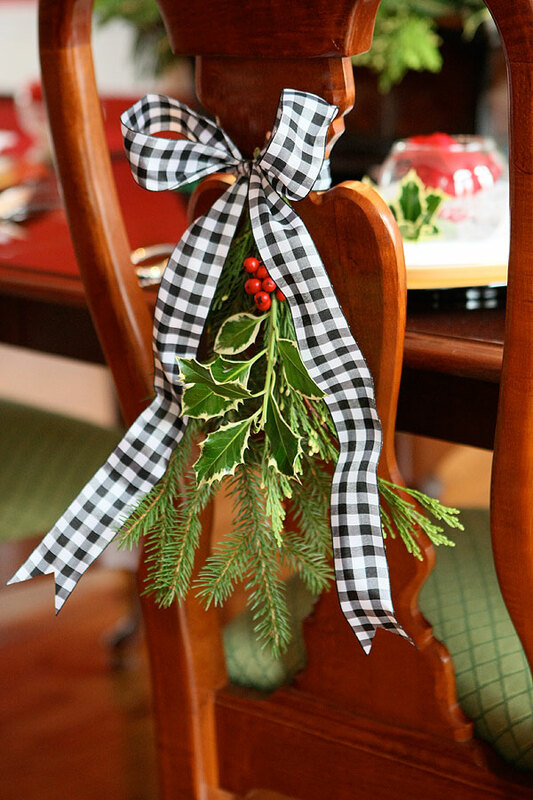 Another decorating staple at Pam’s house is lots and lots of ribbon – woven through the Christmas tree and garland, added to chairs, incorporated into floral arrangements, and more. 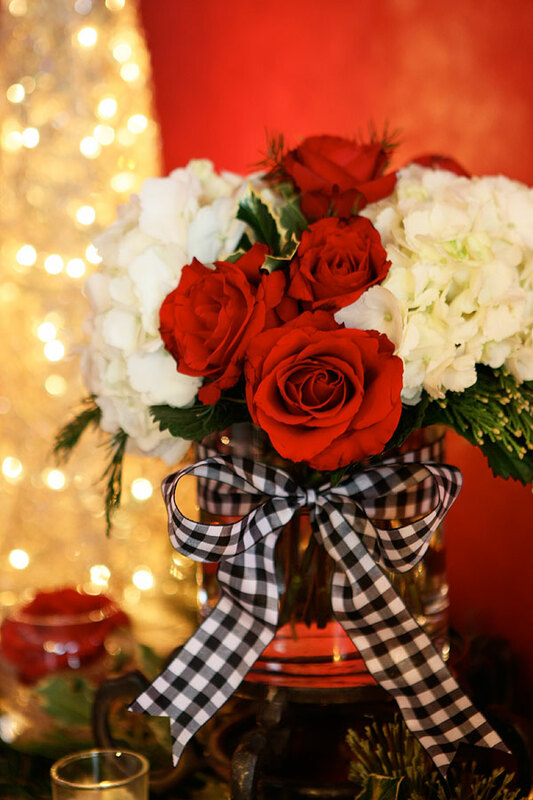 The ribbon adds volume and elegance and ensures a coordinating theme that pulls the holiday elements from each room together into one stunning complete look.